Jay Baruchel is a Canadian actor born in Ottawa, Ontario. As a child actor, he appeared in Are You Afraid of the Dark? and Popular Mechanics for Kids. He’s been in countless feature films such as Rules of Attraction, Million Dollar Baby, Knocked Up, This is the End and most notably, the voice of Hiccup in How to Train Your Dragon. He made his directorial debut in Goon. Paul is an actor from Wales, UK. After leaving LAMDA he went to work with several prestigious theatre companies including the Royal Shakespeare Company and the National Theatre. 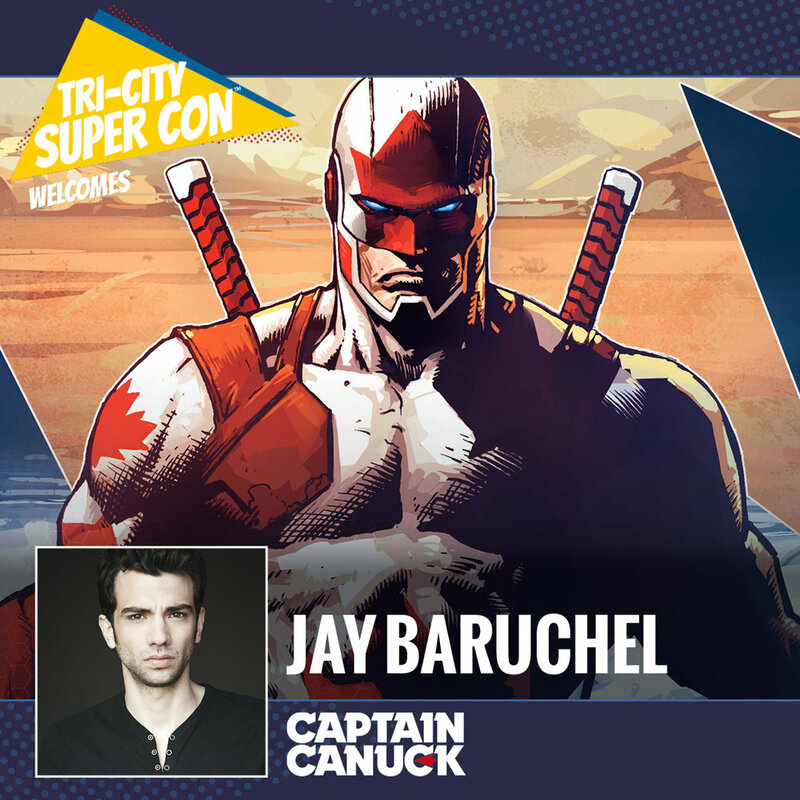 He’s best known for his work on Murdoch Mysteries, Lost Girl and the hit video game, Assassin’s Creed: Syndication. Rachel Skarsten is a Canadian Actress born in Toronto. From Dance to sports to acting, Rachel has done it all. At 16, she got her big break, playing Black Canary/ Dinah Lance in the WB series Birds of Prey (2002). Since then she’s appeared in Lost Girl, Fifty Shades of Grey, Molly’s Game and CW’s series Reign. Zoie Palmer is an English-Canadian actress most notable for her role as Dr. Lauren Lewis in the Showcase supernatural drama Lost Girl and the Android in the SyFy science fiction series Dark Matter. Ajay Fry is a Canadian comedian, television personality and producer who grew up in Ottawa, Ontario, best known as host on the official Orphan Black after show After the Black on BBC America, and the Canadian daily entertainment talk show InnerSpace on Space. Craig was originally a plumber before making the move into acting in the 1980s. Craig appeared in EastEnders, Cadfael and is currently starring as Inspector Brackenreid in the Canadian show Murdoch Mysteries. Ari is an award winning Canadian actor. He is best known for his performance in the Expanse and as numerous clones in the Space and BBC America series Orphan Black. Ivan has been an actor for over two decades. In Video Games, he has lent his voice to such smash hits like Assassin’s Creed, Divided, Watchdogs 2 and Splinter Cell. In television, Ivan is the voice of the new Inspector Gadget and Dracula in Season 2 of Hotel Transylvania. Carolina Bartczak is a Canadian/ Polish actress. She is known for her role as Magda Lehnsherr, the wife of Erik Lehnsherr/Magneto in X-Men: Apocalypse and as Maura Mackenzie in the CBC film An Audience of Chairs. For over thirty years Ron Rubin has been one of the busiest animation actors in the country. From Avengers to Beetlejuice, Care Bears to Beyblade. One of his most prominent roles was that of Artemis in Sailor Moon. Ward Anderson is a writer and producer, known for Ward Anderson: Kind of, Sort of, Grown-Up (2017), Offstage with Ward Anderson (2017) and The Adventures of Napkin Man! (2013). Jennifer Cihi is an American singer/ actress who performed on Broadway, television, commercial jingles and provided several songs for animated series and films. She is best known for being the original English dub singer of Sailor Moon.